This year world wetland day is celebrated very unique way. 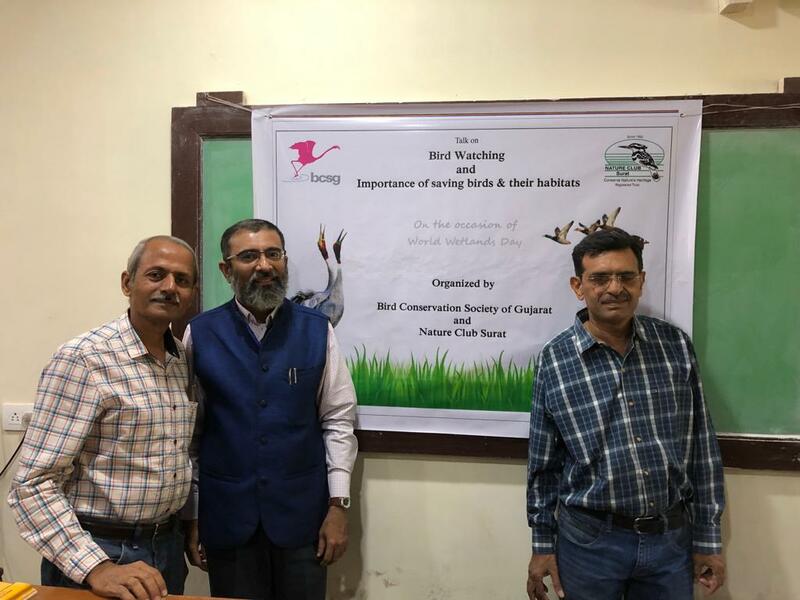 “Importance of bird watching and saving their habitats” Slide show and talk by Dr. Ashokbhai was Organised by Bird conservation society of Gujarat (BCSG) & Nature Club Surat at MTB College, Zoology Dept. We are thankful to Department Head Mr. Dhorakya. Students of different department of college as well as faculties and Nature Club and BCSG members have taken active part.